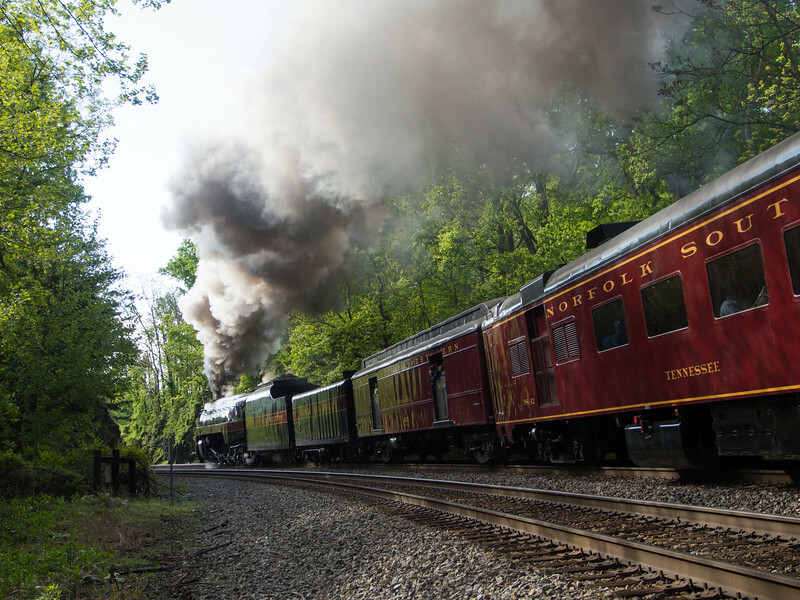 Norfolk and Western 611 is fully extended, charging up the Blue Ridge grade with her long excursion train. After she has passed in a crescendo of sound and fury, she heads away around the curve and out of sight, exhaust pounding, silver rods moving up and down, transferring her massive power to the drivers, smoke blasting out of the stack and sunlight gleaming off her boiler. Her train follows behind, with everything tied together by stripes of tuscan red.